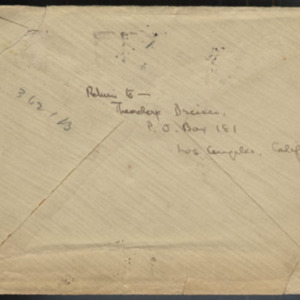 Autograph letter, signed, from Theodore Dreiser to [A. C.] Hume. 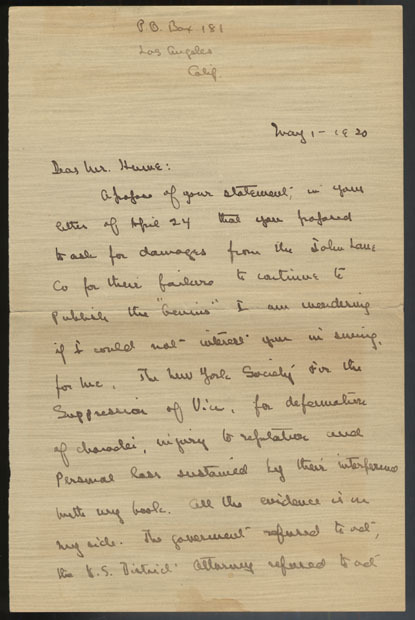 1 May 1920. 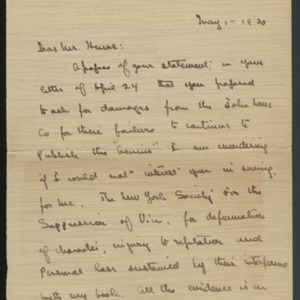 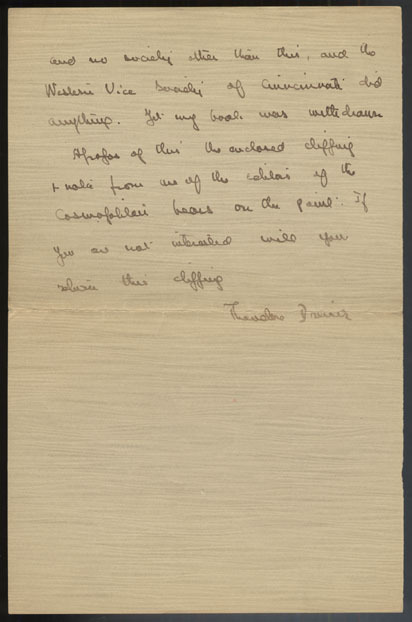 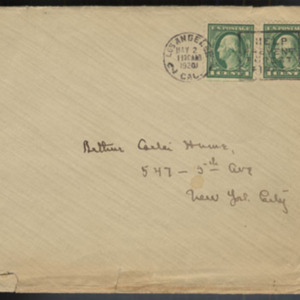 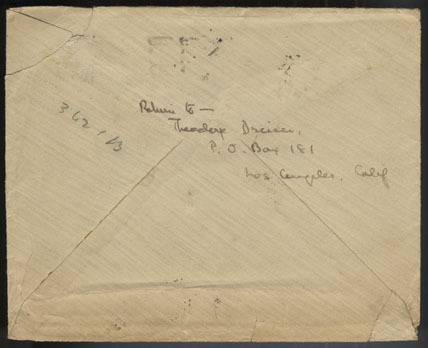 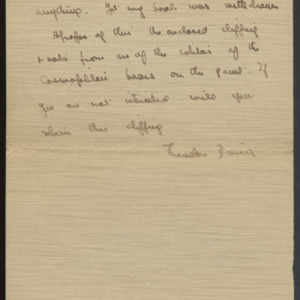 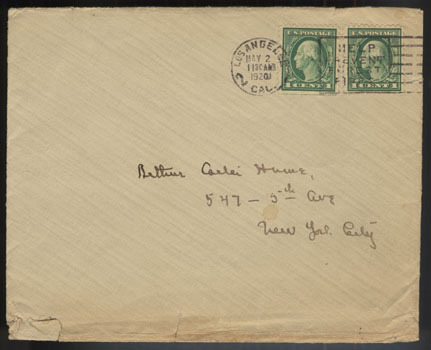 “Letter from Theodore Dreiser to [A. C.] Hume,” University of Virginia Library Online Exhibits, accessed April 20, 2019, https://explore.lib.virginia.edu/items/show/606.